Saving lives, and being the good guys with a gun — we’ve been seeing quite a few concealed carriers making headlines in these past few months. Responsible concealed carry is a force multiplier in terms of making bad guys and criminals worry about not just what they can see but also fearing for what they can’t. A man with a concealed carry license (but open carrying) defends his own life after retreating from an aggressive person who was thrown out of a convenience store. The concealed carrier was a firearms instructor and followed a text book example of how to deal with an unarmed threat. His attacker didn’t get that memo until it was much too late. Despite California’s draconian county-by-county guidelines restricting concealed carry permits, one taco stand operator was still able to successfully defend his life and his property after being accosted by armed criminals. And, as we all know, criminals don’t really care about gun laws in the first place. One of the robbers was fatally shot — meaning there will be one fewer bad guy to harass honest people. A 25-year-old Dollar Tree clerk was forced to defend his own life after armed robbers allegedly attempted to rob him. According to KHOU, the clerk’s uncle reported that these bandits had been to the store before and even after robbing his nephew, still beat him with the gun. This just goes to show that just because you give a criminal what he wants, there’s no guarantee he won’t attempt to harm you still. Thankfully, this young man was able to protect himself and the store’s property at the same time. A woman home alone with her infant was able to shoot and critically injure a burglar who broke into her home through the baby’s window. This goes to show that criminals don’t care or respect other people’s property, lives, or even the welfare of their children. Anything goes for bad guys, so it’s even more important to stay armed and prepared to deal with this sort of scum. “He broke in through the baby’s window, ok, and when he was coming out the door, my sister was coming out her bedroom door, he aimed and shot at her first and then she shot him,” said the woman’s brother. You can’t expect bad guys to just throw their hands up and surrender on the first sign of resistance. This woman acted bravely in defending the life of herself and her child. The intruder allegedly had zip ties and a walkie talkie on him, indicating that he had much more heinous intentions than simply breaking and entering. These events are meant to give you an idea of what concealed carriers and gun owners are facing these days. 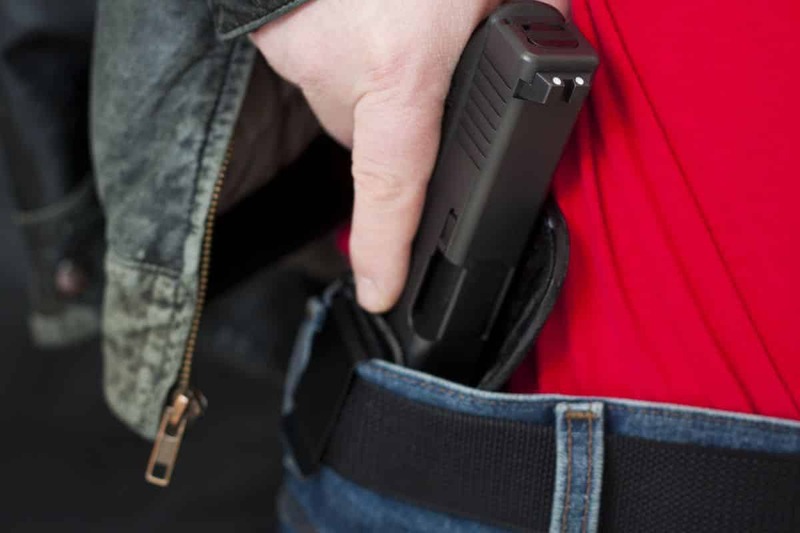 It’s not just home defense — it’s defending yourself at your place of work, protecting your children, and not allowing armed criminals to simply take your property and your life without resistance. All of these events and more happened within just a few short weeks. It’s an indicator that the good people of this country need to maintain firm control over their guns if they’re to be expected to stand up to bad men.